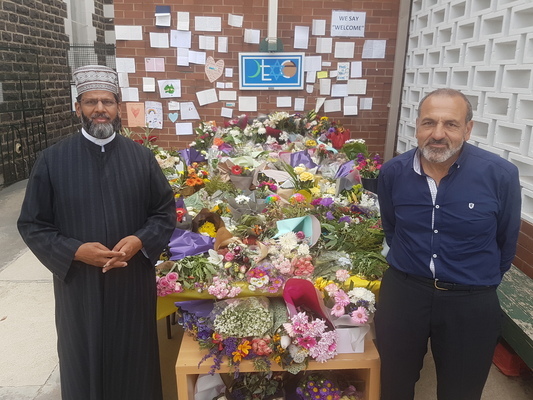 Geelong Muslims mourned the death of a close relative in Friday’s massacre at Christchurch as locals left tributes at their Manifold Heights mosque on Sunday. One of the 50 victims of the mass shooting, 26-year-old charted accountant Syed Areeb Ahmed, had family based in Geelong, imam Mohammad Ramzan said. “One of our mosque attendees (had a) close relative studying in New Zealand (who) has been killed,” he said. Geelong’s Islamic community rallied around the grieving family, who wished not to be identified, Shaykh Ramzan said. Another mosque attendee, who also wished not to be identified, had a brother who survived the attack, he said. 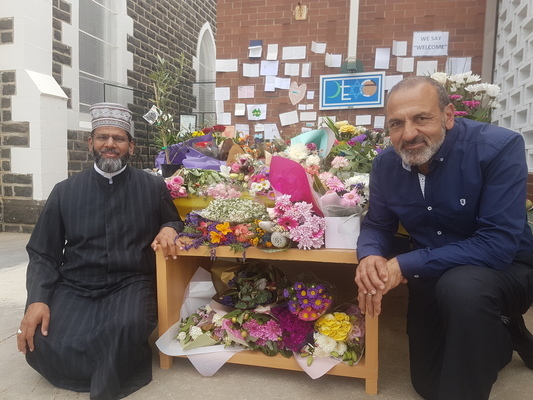 More than 1000 people attended Geelong Mosque on Sunday, leaving flowers and cards to show solidarity with the city’s Islamic community following the shooting. Shaykh Ramzan thanked “brothers and sisters” from around Geelong for their “overwhelming” show of support. “Yesterday’s event brought a lot of psychological, mental, spiritual and emotional help,” he said on Monday. The crowd easily exceeded the 100 to 200 people Shaykh Ramzan had expected for the mosque’s yearly open day. A crowd gathered about 9.30am, half an hour before the event’s scheduled start, he said. In January Shaykh Ramzan visited the Al Noor Mosque, where 42 of the 50 victims were shot dead. “It’s a small mosque but the neighbourhood was nice and people were saying hello,” he said. News of the shooting on Friday shocked him, especially as many of the victims had already fled violence in war-torn countries like Afghanistan. “It was very tragic and sorrowful,” he said. Shaykh Ramzan has long denounced fundamentalist terrorists attacking innocent civilians. “They are enemies of humanity and civilisation – (whether they are) Muslim, white, nationalist (or otherwise),” he said. He urged people to speak out against far-right extremists vilifying the world’s 1.5 billion Muslims, the majority of who were peaceful. Australian man Brenton Tarrant appeared before a New Zealand district court charged with murder on Saturday in relation to the attack.